There are many common sense tips for securing your home against intruders and most of them are easy fixes or simple maintenance. Implementing some of these ideas can also mean rate cuts to your homeowners’ insurance policy. Exterior doors should be solid-core doors with heavy-duty dead bolts installed in a sturdy frame. Hinges should be secured with long screws so they can’t be kicked in. Locking storm doors are useful for letting fresh air in without leaving an entrance exposed to theft. Security bars over basement windows and around removable AC units prevent intruders from crawling inside. Broken windows are a red flag to intruders and should be repaired.An alarm system is advisable in certain instances. Exterior lighting, to include motion detection lights, helps to shine the light of day on those who desire to operate in darkness. Keep your garage door closed and don’t leave the opener in your unlocked car. One often overlooked home safety and security solution is installation of security window film designed to make glass shatterproof. The film also provides privacy as well as theft deterrence. If a homeowner can’t afford to replace glass doors with double paned heavy duty glass, security film can be a viable alternative. Certain brands of Security Window Film have an adhesive that holds the glass together even when shattered. Available in several different thicknesses and strengths to prevent tearing, Security Film can prevent burglaries because the film makes it harder to gain entry into a protected home. Burglars find that windows with security film take longer to enter and results in additional, unwanted noise. Impact-resistant films will hold glass together if broken. Smash and grab burglars rely on a technique that results in quick, quiet entry into a home. If an intruder or vandal hits a window hard enough, or if the window is struck by a stray baseball, security filmed glass will shatter but stay together. 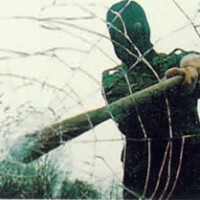 The shattered glass with the shards of glass held in place by film is an additional obstacle. Window security films are hard to detect from the outside but still allow easy egress from the interior, which is an important safety feature in event of fire. Window film has the added benefit of reflecting and absorbing heat, helping create comfortable temperature for homes while reducing energy costs. There are also security film options available for vehicle windows, adding another layer of protection in public parking areas. Installation should be done by professionals as experience counts when it comes to the type of film to be used and the application method. The old saying “where there’s a will, there’s a way,” is true when it comes to truly preventing residential and commercial burglaries but the idea is to make it difficult for burglars. They will move on to easier targets in most cases where even minimal effort has been made to secure a property.